As a new mom, you likely want to keep your newborn as close to you as possible for plenty of quality bonding time- but so many of the babywearing options seem overly complicated, especially if you are a first time mom. I felt the same way. 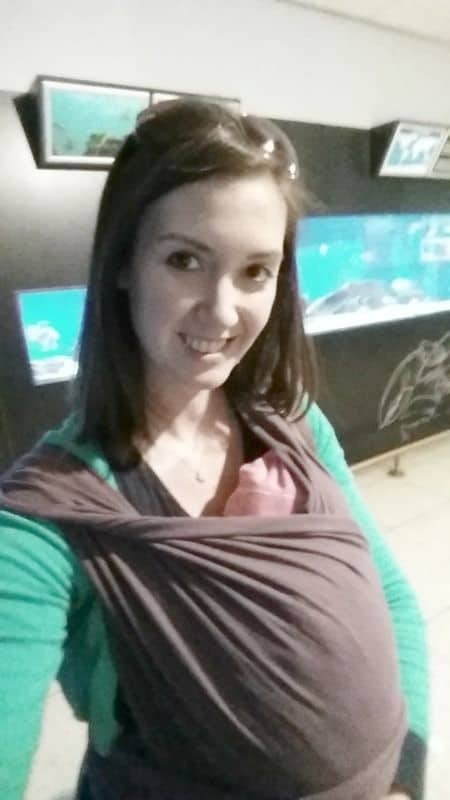 Before I had my daughter, I spent a ton of time researching babywearing and different types of carriers. While I loved the idea of stretchy wraps such as the Moby for a natural contract position, I was totally intimidated by the sheer amount of fabric and intricate ties. I finally found what seemed like a really great solution a for first time mom or a newbie to babywearing- so here is my unbiased Baby K’Tan review! I bought the K’Tan before my daughter was born after watching videos comparing the steps to longer wraps. Let me tell you ladies- it rocks. 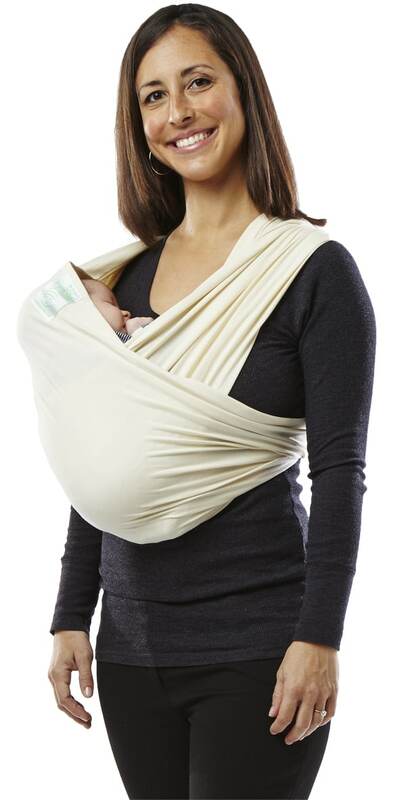 I own (and love) a bunch of different types of carriers, but I love the K’Tan for the newborn/first few months stage. What makes the Baby K’Tan so great? The entire thing slips on like a scarf, and the baby is easily slipped into position. It provides an ergonomic hip position (something that was an absolute must for me to have), and is acknowledged by the International Hip Dysplasia Institute (the hip ergonomic bigwigs whose opinion matters in babywearing) as “hip-healthy”. It comes with a waist strap (long piece of fabric that you wrap around and tie) that also doubles as a pouch since the entire carrier fits into a pocket on the strap. You can use the K’Tan without the waist strap, and it is not needed for newborn hold, but as they get bigger, or for more comfortable support, the waistband is a great addition. To tie it, you just place it over their bum and wrap around your back and tie into a bow/knot in the front. For extra support around the shoulder, you can flip the fabric over (see in picture) which helps provide more grip. Even though the fabric stretches out, it is designed to go into both the washing machine AND dryer- which helps it shrinks it back to normal. It’s easy to do once you feel it is a bit too loose for comfort/security. The small loop in the back is designed to be tugged down to provide more support (this is necessary sometimes because it does creep up after a while). Due to the tight stretchy fabric, it is not made to fit well over bulkier clothing, so you might want a second carrier for outdoors during winter. It is sized for the person wearing the baby, so if you and your husband or partner both want to use it, you might require different sizes. The ring in the back can feel weird when sitting against it (though easily moved if that happens). I also love the many different positions you can babywear with it. My favorites are the Newborn and the Hug positions. The newborn is perfect for the littlest ones, and is great for skin to skin. Since Charlie was born in the winter, I would do skin to skin with it and then put a zip up sweatshirt over us while hanging out at home. It keeps them snuggled up right on your chest- a newborn’s favorite place to be. The Hug was our go-to once she was ready for her legs to be out. She was so comfy pressed to my chest she would often pass out, even if she had been fighting sleep beforehand! The only position Charlie wasn’t a huge fan of was the Adventure one. It faces out-which she loves to do-but she didn’t like having her arms unable to be flexed at the shoulder joint. She preferred the Explore position for that where she could dangle one arm and have free movement. At that point though I began using a ring sling for that type of carry as it gave more control over the fabric, making sure it was tight enough. One of the things I loved about the K’Tan was how it easy it is to breastfeed in it. Since is it just made of stretchy fabric, it was easy to position Charlie to feed and held her snugly in place, allowing me the use of my hands—such a luxury as a new mom. And because it is so small in its own little pouch, I often kept in in my diaper bag so I had easy access to a carrier when needed. Although I used other carriers too, it was quick to slip the K’Tan on if I found myself needing to run into a store or if she was super fussy while out with a stroller somewhere and needed to be held. To give my arms a break on an airplane! By the time Charlie hit 6 months she had been on 8 flights. The K’Tan was great for using in the seat, and since it doesn’t have bulky straps, it is pretty comfortable to wear while sitting on a plane. The little loop is sort of annoying to lean against though, so requires some adjustment. I also love using a ring sling for on the plane, but that’s for another review. The bonus way to use it on a plane though? To keep your excited baby-who wants to grab everything and move around everywhere-on your lap (and give your arms a break!). Holding a squirmy baby is a total arm workout. If you have ever flown with a baby once they can start moving and grabbing for things, you know what I mean. If you haven’t, feel free to skip the arm workout at the gym the day before! Because of the great loop design, I found one trick to using it was to loop it around both me and Charlie’s stomach while flying. It helped to keep her on my lap by keeping her from bending too far to the side or forward. The stretch of the fabric let her move fully, and while I still needed to hold her, it allowed me to relax a little while she was facing the seat in front of me. Then she could be playing with toy or watching the screen without me freaking out about her every movement. When I didn’t want or need to use it, it was easy to keep around my neck like a scarf or take it off in in 2 seconds. Which Baby K’Tan to choose? The Baby K’Tan comes in a few options- the Original (like mine), Active, Breeze, and Organic. The Active carrier is made of a performance fabric (think workout gear) that wicks away moisture and helps keep baby cool. It also blocks up to 90% of UVA and UVB rays. While I haven’t tried it personally, I have read that it has less stretch and isn’t as snuggly as the Original. That makes sense given the fabric, but it would be a good choice if you have an active lifestyle. If you are in a warmer climate, or like to go outdoors a ton in different temperatures, the Breeze might be a good fit for you. It is half cotton and half mesh, and the design of the K’Tan allows you to move the fabric, so you could choose to use mesh in front on hot days and the cotton half on others. 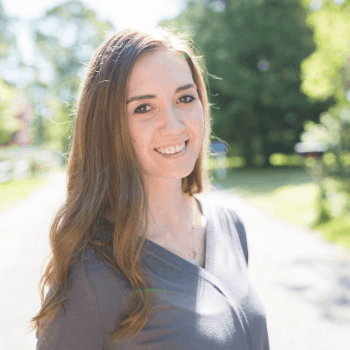 I really loved using my Baby K’Tan, and recommend it to all my soon-to-be mama friends—and readers like you! While I will likely also try out other carriers and wraps with my next one (especially now that I have more confidence in babywearing), I will definitely be keeping my K’Tan as a go-to choice for future babies. Have you tried out the Baby K’Tan before, or do you have any questions about it? Let me know either way below! Woah, that carrier looks amazing, especially since you don’t have to know how to do a complex wrap! 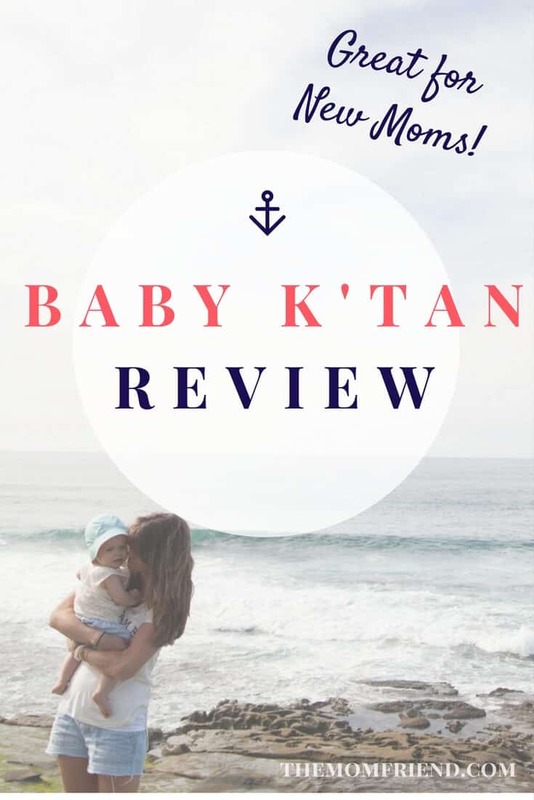 This Baby K’Tan review will help lots of mamas for sure. I’d never heard of it until now. It’s great that it can be used in different carrying positions and can be machine washed/dried…I like that there are different fabric options, too. I tried a couple different carriers with my son and he didn’t like either one. Wish I would’ve known about this one, the price isn’t bad, either. We’re looking at new carriers for our next baby and this one is on our list. My only concern was the whole “fits only one person” thing but maybe we will take a second look. I love the closeness of this wrap.